Mike Fede hit us with a link to a video from a little DIY idea he had saw a rider do, and figured he would test out. If you have ever wanted to try plastic pegs, but you don’t want to spend the money… Here’s a cheap option that apparently works… Sort of. All you have to do is get some PVC pipe that fits over your peg snuggly, and you’re good to go. Take a look! I feel like this should have been in Dustin Lee‘s cheap man’s Top 10 BMX Life Hacks video. Here’s a little something we spotted while scrolling through Instagram today. It looks like The Shadow Conspiracy have been working on a new peg called the Plasmatic Peg. They didn’t release any details beyond the photo, but it appears to have a plastic sleeve, which we would have to imagine has a special nylon / fibreglass compound, with something unique going on with the internals. If you check the Instagram post below, you can see their Multi-Tool, but it’s hard to see if there is an extension. The reason we say that is because in the photo above it appears that there is some sort of insert inside of the peg with a square that could fit a 3/8″ wrench similar to how a couple fork compression caps come. We also noticed an adaptor at the dropout in the multi-tool photo. Maybe a possible thread on style peg like back in the day, but there would just need to be a way to prevent it from threading loose. A lot to think about from two photos and no details, haha. It’s that time again for another round of Kareem’s World. This time around Kareem battles it out with a decision to run Plastic Pegs or stick with the Metal Pegs he’s been running, weighing the Pros and Cons with some guy who clearly came from The Matrix… Hit play to see what he decided to go with! As always, Kareem keeps it weird and funny. Here’s a fresh promo video for the Brandon Begin signature GFE Pegs from Merritt BMX. This is filled with remixed clips from past videos, but all worth a look! Hit play, check it out for some riding and to get the details on the pegs and more! Are you due for a new set of BMX Pegs? You’re in luck because you now have another option! FBM have released their new M-80 Peg for you to get your grind on with. 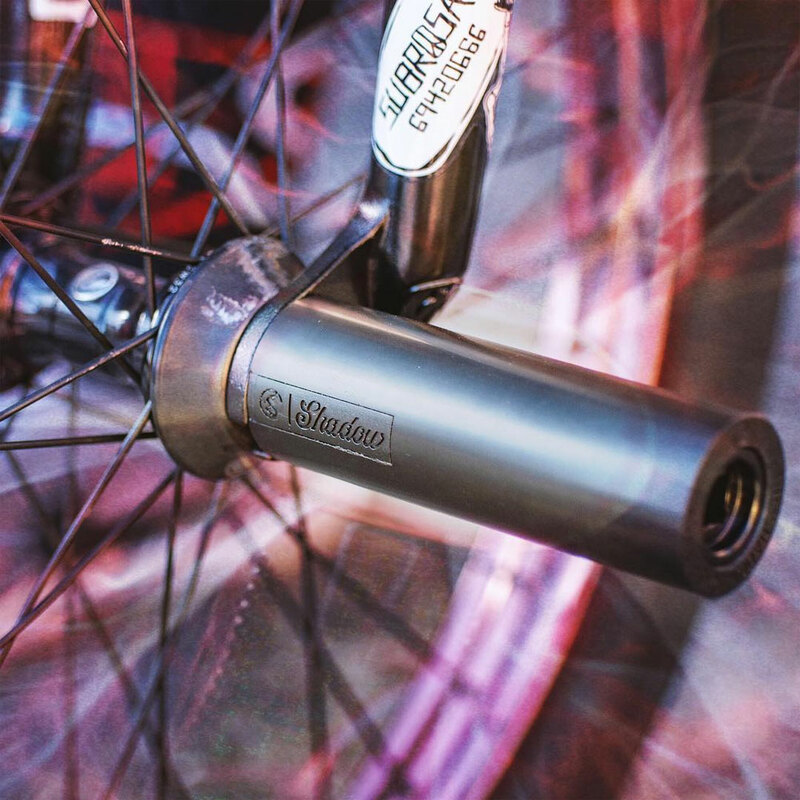 These pegs start out with a heat-treated 4130 chromoly core with a 14mm bore (3/8″ adaptor included) and have a Nylon sleeve that slides over the core. The peg is 4.33″ long and has a diameter of 40mm (1.57″). The pegs come in black with an FBM logo and weigh in at 7.8 oz. You can pick the M-80 Pegs up for $21.99 each with replacement sleeves available for $6.99 when you wear through from all the grinding you’re about to do. The peg comes with a 14mm bore and a 3/8″ adaptor so you can run these pegs up front or in the back no problem. The M-80 Pegs are available through BMX shops and mail-orders that carry FBM worldwide now.